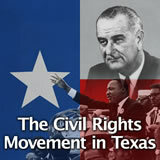 In this experience, students explore the changes in the Texas economy in the late twentieth and early twenty-first centuries, including boom-and-bust cycles. They learn about the east Texas logging boom and bust. 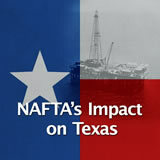 Then they create a sequence chart showing how the boom-and-bust cycle of the oil and gas industry affected other areas of the Texas economy. Finally, they explain the advantages of a diverse economy. 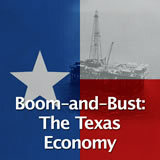 Explore the causes of boom-and-bust cycles in the Texas economy. 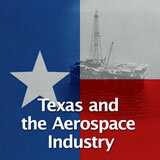 Understand the impact of the 1980s oil bust on the banking and real estate businesses. 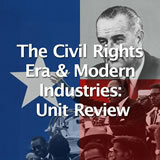 Identify how the Texas economy has diversified in the early twenty-first century. 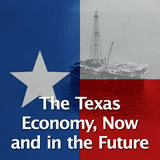 The Texas economy has gone through many boom-and-bust cycles. 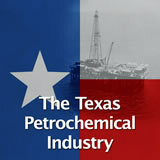 A boom is when a particular part of the economy, such as the oil industry, is growing quickly and there are lots of new jobs and times are good. 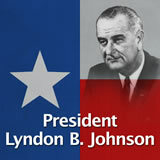 A bust is when part of the economy shrinks and people lose their jobs and prosperity gives way to hard times. The boom-and-bust cycle can occur in many different parts of the economy—from farming to oil production, real estate, banking, or computer technology. A bust can be caused by lower demand for a certain type of product. For example, after the invention of personal computers and printers, there was a bust in the business of selling typewriters. Think of products or businesses that have gone bust because of lower demand when a new product or technology replaced an older product. Explain what you think caused the bust. Some possible answers include maps, which have been replaced by GPS navigation and navigation apps; music albums on CD have been replaced by streaming services such as Spotify or iTunes; VHS tapes were replaced by DVDs and streaming services.